Anantashayana Vishnu is located at a small place called Sarang in odisha and most of us do not know about it because of lack of information on it on web. This wonder is not far from all of you, it is at 60 KM from Dhenkanal, and just situated at 7 KM from Talcher. You can take bus from most of the places to this place, even we have train communication to talcher. Enjoy and share this to all your friend and relatives. 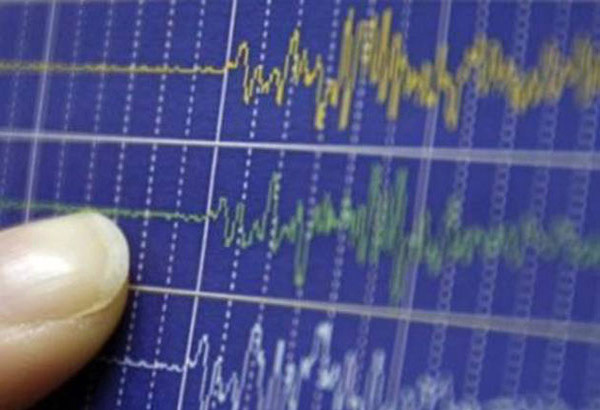 DHENKANAL: Tremors in Dhenkanal on Saturday morning caused panic among the people who rushed out of buildings in both rural and urban areas. Rekha Sahoo, a headmaster of a school in Paikadahikore village near Govindpur, 10 kms away from the district headquarters town, said students and teachers ran outside the school when the first tremor was felt. “We did not go in for one hour apprehending more tremors,” she said. People in residential areas of the town rushed out of their houses. “We clearly felt the tremor. We were terrified and came out into the open,” said Pravash Mohapatra, a local. No damage has been reported so far. The low intensity earthquakes were recorded around 8.18 am and 11.21 am and lasted for a few seconds. Once upon a time scooters seen on each family home and known as a family bike in india. But as our technology changing, with time indian roads now full of bikes from top sellers like Bajaj, Hero and Yamaha. Now if someone drive by a scooter in any part of country, people head turns like we saw it for the first and last time. Now a old scooter either goes to back yard of house or sold in range of 1000 to 3000 rupees. Still some people have them with pride. Time and Technology changing very fast. Do you have one scooter? A brave lady , Kalpana Das scaled Mount Everest , as it made her first lady in odisha to achieve such a feat. Kalpana scaled the world’s highest peak on May 21, along with 20 other Indian climbers. Hailing from Dhenkanal District in Odisha, this woman made us proud who is also a lawyer, always cherished a dream of climbing Mount Everest since her childhood. She faced a lot of difficulties during the course of the expedition, but her grit and determination kept her going. She Crediting her achievement to the wishes of her well-wishers. “It is due to God’s mercy and the best wishes of my family that I was able to scale Everest and returned safely. I’m happy and am keen to attempt climbing it again,” she said. Dhenkanal Town have many small temples and places to visit. In Our District we have famous temples for God Shiva which attract thousands of tourist each year. Dhenkanal got a shower today by sudden wind and rain this afternoon which relief people from heat weave. From last few days heat weave give a lot of trouble to our people. Even we record 2 deaths because of sun stroke. Thank god we can spend some good time this evening. All of you know dhenkanal district known for greenery and natural beauty. Now there is another good news. Slowly dhenkanal going to be the mango hub of Odisha, India. Horticulture department helping farmer to find export quality sapling and keep regular training to produce high quality mangos. Other than dhenkanal other places which produce good quality produce are Gajapati, Koraput, Rayagada, Gunpur, Malkanpuri, Ganjam and Puri. This year in 2014 most of the odisha mangoes exported to Dhaka, Bangladesh where demand of odisha fruit is on high. Mostly they are interested to buy Dussehri and Amrapali type of this fruit. Do you like these mangos which is our home grown product. If not try it soon, before all mangoes exported to foreign countries. Dhenkanal is a hill town and best to travel when you visit odisha. Now as govt of india promoting tourism places, dhenkanal got attention from people around the globe. These places can be covered in one day. So please book your hotel here before visit and enjoy natural beauty of dhenkanal. Dhenkanal is famous for delicious traditional food, bikhyata bara and laxmi puja. Let us see how Mr Bhakta Tripathy cover dhenkanal and show our food to the world.